Overzealous exercise programmes can leave you with debilitating foot cramps. These are sudden shooting pains that occur when a muscle in the foot jams and seizes. 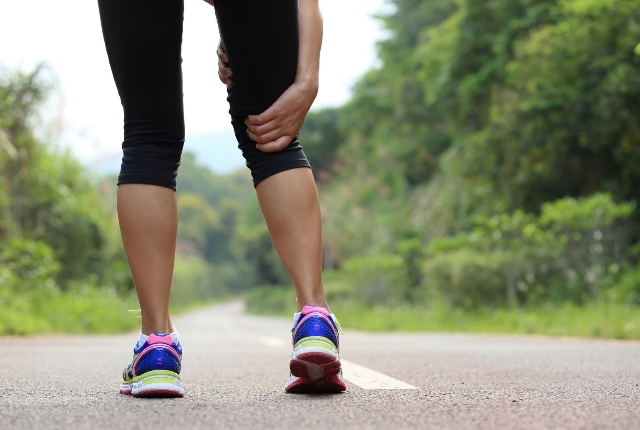 A foot cramp may also occur when you are exercising intensely and not rehydrating yourself. A muscular cramp is often a sign of dehydration. 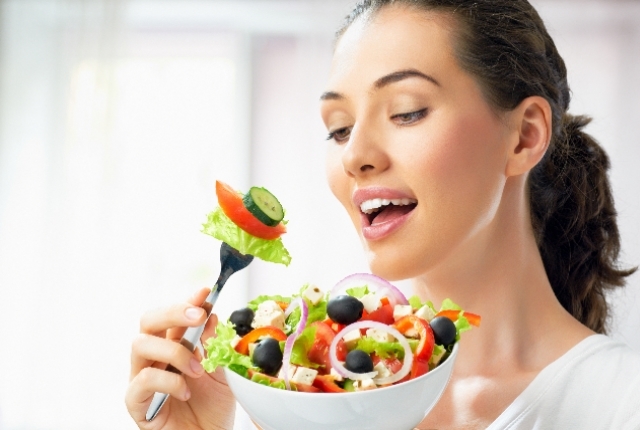 Paying attention to what your body is trying to tell you will help you to get rid of foot cramps. 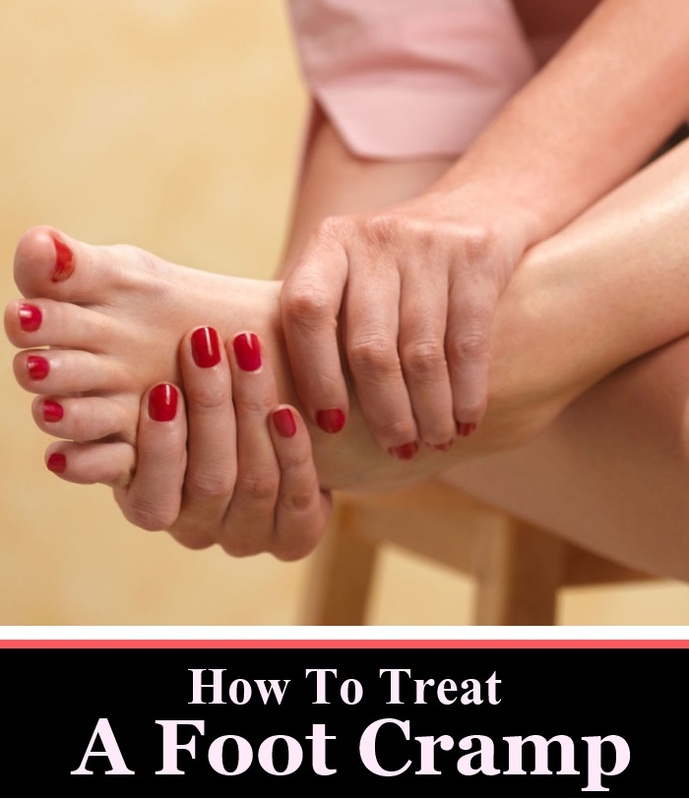 Here are some ways to treat a foot cramp and get relief from foot cramps. Make sure you guzzle enough water before starting your workout. A glass of water half hour before your workout is ideal.Keep replenishing body fluids thereafter. 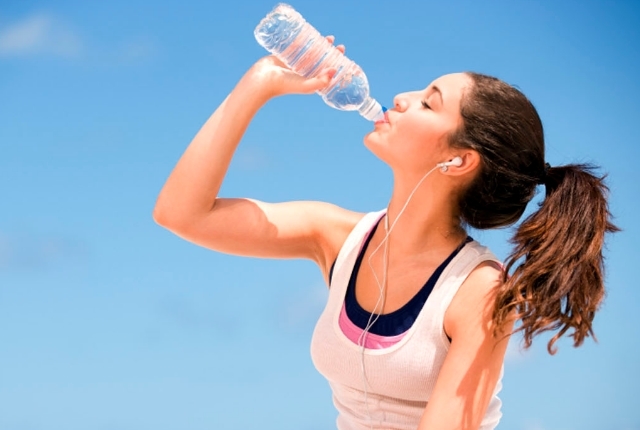 Make sure you drink enough water throughout your workout to prevent dehydration. This will prevent muscles from going into a spasm due to insufficient water. Eating a banana pre workout is a good way of ensuring that your electrolyte levels never get depleted during a workout. Falling potassium levels in the body could lead to a serious foot cramp. One of the best ways to treat a foot cramp is to place the foot first under cold water and then luke warm water. Once this gives relief, start massaging your foot at the site of the muscle cramp. This should ease the cramp to a large extent. An important prerequisite to any exercise programme is wearing the correct workout gear. Invest in quality footwear that cushions the stresses and strains of running. This will prevent wear and tear on the foot and reduce the possibility of a foot cramp. The arch is one of the most common sites for a muscular cramp. 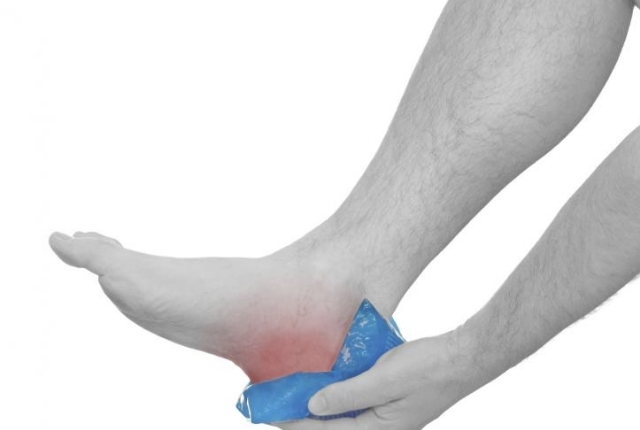 Reduce arch pain by treating your foot to a cold pack filled with ice and then applying heat through hot fomentation. This should get rid of niggling, cramping pains if any. Heels can majorly affect the musculature of your feet increasing the possibility of muscle tears, pulls and cramps. Avoid wearing heels as much as possible and restrict their use to only special occasions. Always increase the intensity of your workouts gradually. This will prevent your muscles from seizing and going into a spasm. Keeping the muscle stiff may intensify the cramp. Try to flex your arch and toes to get rid of the first spasm. Gently put pressure on the front of the cramping foot and try to walk. A slow walk will definitely help you feel better and reduce the intensity of the cramp. Remove all shoes and socks and try to flex the toes to get rid of the initial discomfort. Removing shoes will also help to restore blood circulation to the cramping region.Another way is to pull your toes backwards to reduce the sensation of pain. Now gently massage the entire foot. This technique practically gets rid of the cramp and helps you to feel better.